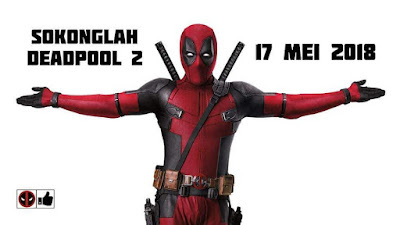 OUTPOST: Sokonglah Deadpool : The Merc with a Mouth needs your support to blast R-rated box office records! 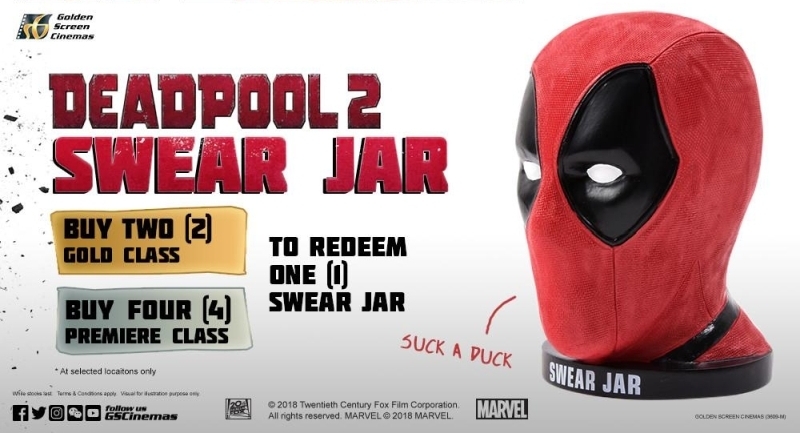 Sokonglah Deadpool : The Merc with a Mouth needs your support to blast R-rated box office records! In 2016, Deadpool was a welcome surprise to the comic book superhero movie world. This medium-budget R-rated movie (18+ by Malaysian classification) introduced to the cinema audience the Merc with a Mouth as he was meant to be based on the comics, a fast-talking fourth wall-breaking mutant anti-hero personified by actor Ryan Reynolds. 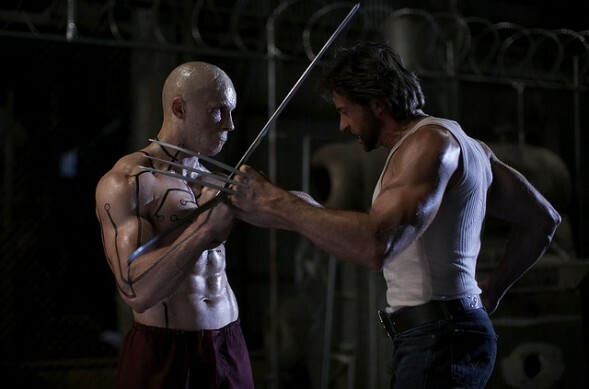 Although Deadpool's first appearance in cinematic history actually took place earlier in 2009's X-Men Origins: Wolverine, this interpretation also played by Reynolds much chagrined Marvel fans. However, this version of Wade Wilson with his trademark witty repartee before transforming into Weapon XI did connect with many fans. 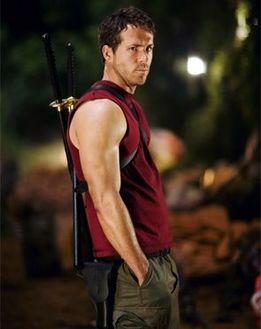 Ryan Reynolds as Wade Wilson in X-Men Origins: Wolverine (2009) offered fans a taste Deadpool's cinematic potential early in this film. Alas, many Marvel fans were aghast when this version of Deadpool was revealed as Weapon XI with mouth sealed and sporting multiple mutant powers. Even prior to this, Reynold's role as vampire-hunter Hannibal King in 2004's Blade: Trinity was heavily influenced by Deadpool from the comics, bringing dark humour to the otherwise violent action R-rated movie of its time. 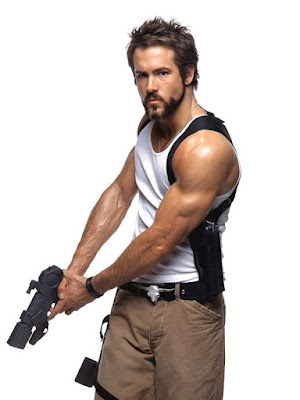 Ryan Reynolds starred earlier as Hannibal King in Blade: Trinity (2004) with persona inspired from Deadpool of the comics. According to Ryan Reynolds, these early superhero outings paved the way for Twentieth Century Fox to seriously begin developing a Deadpool solo movie from 2010. But Deadpool's cinematic journey was almost derailed by the box-office disaster of 2011's Green Lantern, also starring Ryan Reynolds in the lead role as Hal Jordan. Fox was also concerned with the potential box office limits of an R-rated superhero movie and backed off from proceeding with production. 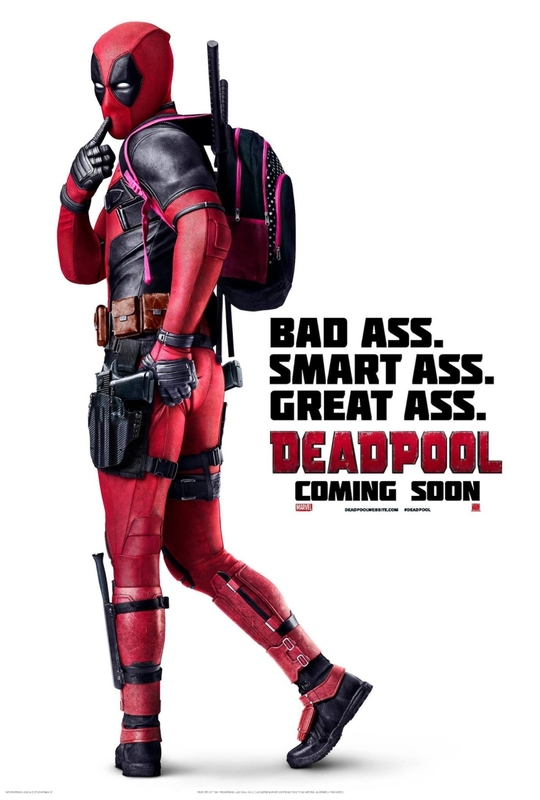 Director Tim Miller produced test footage in 2012 with Reynolds voicing Deadpool in a CGI action sequence but still did not receive the green light from the studio. In July 2014, this test footage was mysteriously leaked online and garnered overwhelming support from Marvelites that this is the Deadpool we want in cinemas. Within 3 months, Fox green lit the movie and fans delightedly received Deadpool in February 2016. Six weeks after its cinema released, Deadpool claimed the crown for highest-grossing R-rated movie worldwide of all time. 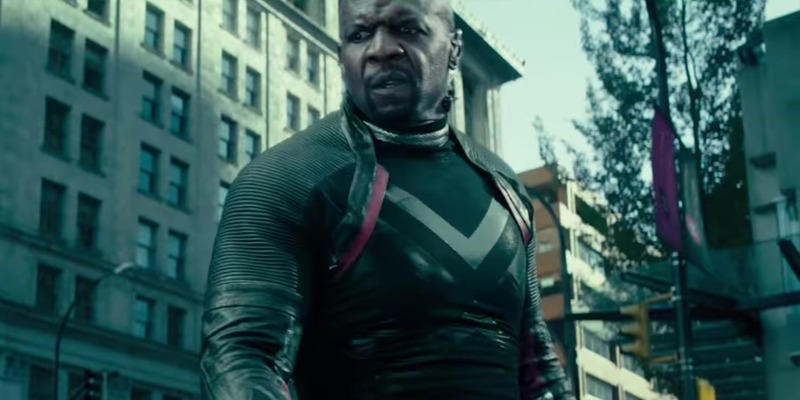 No good box-office hit goes unnoticed by studio corporate executives and certainly in an era where almost every other movie release is a sequel or prequel. 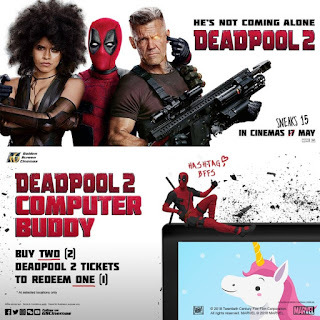 Deadpool returns this week to our cinemas in his sequel outing simply titled Deadpool 2 (Kolam Mati Dua!). Ryan Reynolds (left) reprising his break-out role as Wade Wilson / Deadpool together once again with Leslie Uggam as Blind Al. 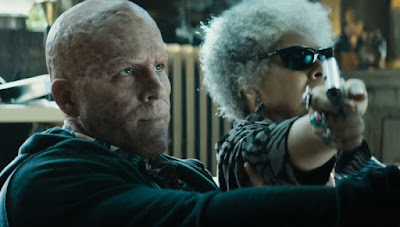 Returning of course is Ryan Reynolds as Wade Wilson / Deadpool, still looking like an old avocado. 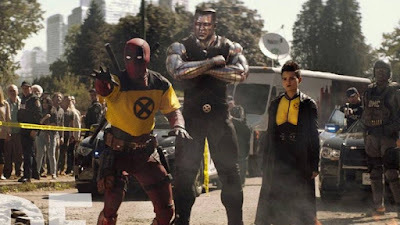 The supporting cast that survived the previous movie also return, comprising Morena Baccarin as Wade's love interest Vanessa, T.J. Miller as bartender friend Weasel, Leslie Uggams as roommate Blind Al, Karan Soni as taxi driver Dopinder, and the pair of X-Men with Stefan Kapipic as the voice of Colossus and Brianna Hildebrand as Negasonic Teenage Warhead (what a mouthful!). Morena Baccarin is back as the lovely Vanessa, her crazy matching Wade's crazy. Karan Soni is still driving a taxi as Dopinder, but aspires to be more. T.J. Miller (right) returns as Wade's best friend Weasel. 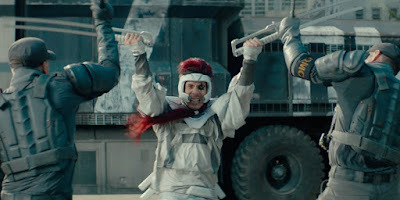 It's no secret from the numerous movie trailers that Deadpool is recruiting his X-Force, which introduces a whole slew of new characters joining this sequel movie. As hinted at the end-credits scene of the first movie, we will be seeing popular X-mutant from the future Cable, played by veteran actor Josh Brolin who is also currently starring in another Marvel movie right now as Thanos fighting the Avengers in the Infinity War. 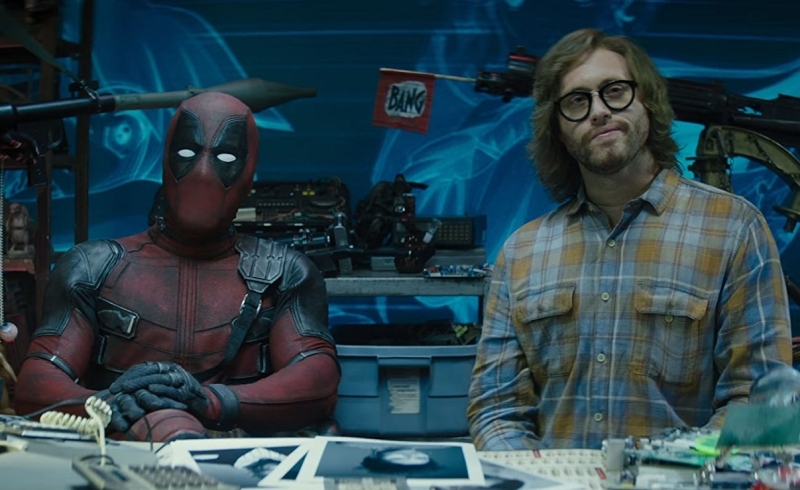 Yes, Deadpool does indeed break the fourth wall trolling that fact! 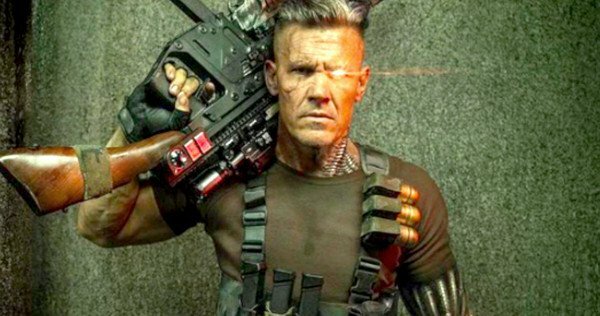 Josh Brolin turns mutant cyborg as the time travelling X-Men Cable. Zazie Beetz (Geostorm) takes the mantle of Domino showing off how cool it is to have the mutant power of luck. 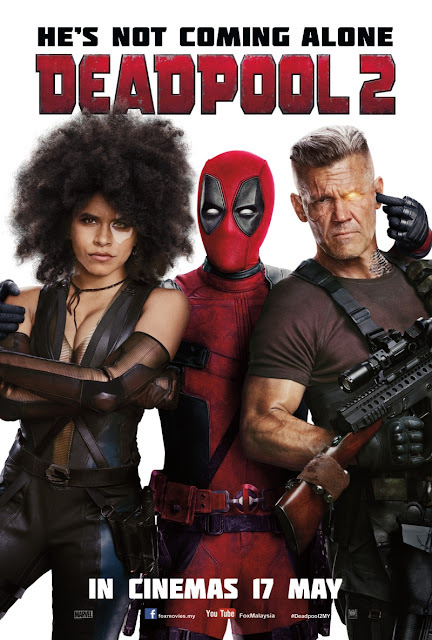 While Cable appears as the antagonist in the trailers, we do see Domino played by Zazie Beetz (Geostorm) joining X-Force, making luck look cinematic (wait and see-lah!). Members of X-Force seem include Shatterstar played by Lewis Tan (Into the Badlands, Iron Fist), Bedlam as portrayed by Terry Crews (The Expendables), Zeitgeist by Bill Skarsgård (It), and regular guy Peter by comedian Rob Delaney. 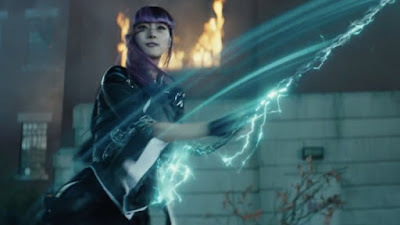 Other mutants cast Julian Dennison as Russell / Firefist, which is being hunted by Cable, and Australian Japanese actress Shiori Kutsuna as an unnamed mutant girl. There will no doubt be other surprise cameos in Deadpool 2; look out for them! 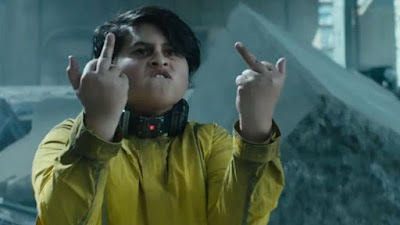 Troubled mutant teenager Russell played by New Zealander Julian Dennison. Guess which mutant is Australian Japanese actress Shiori Kutsuna portraying? FYI, Stan Lee cameo in this movie's teaser trailer last year. Deadpool 2 opens nationwide in Malaysia on 17 May 2018, with limited sneak previews starting on 15 May. 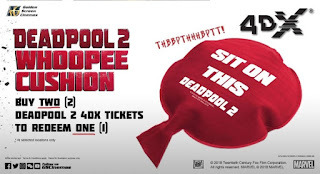 Although the marketing campaign for Deadpool this time round does not seem as overwhelming like the first movie (not saying it was bad), these few videos featuring Canada, F-cking cancer, David Beckham and Manchester United could really only be pulled off by Ryan Reynolds the Merc with a Mouth. 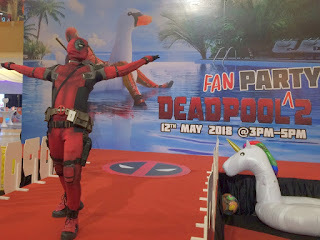 Deadpool helping to raise funds for cancer prevention supporting LetsFcancer. Deadpool apologises to David Beckham for his remarks from his first movie. Deadpool takes over Manchester United. 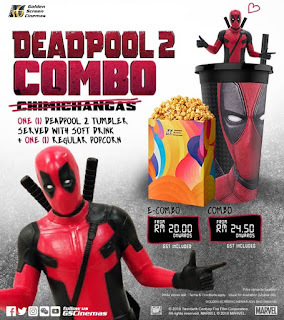 Deadpool schemes on how to make his movie sequel the best ever at TGV Cinemas. Featuring Malaysia's craziest Deadpool cosplayer Louis Ideotics / @malaysiancosplayer. 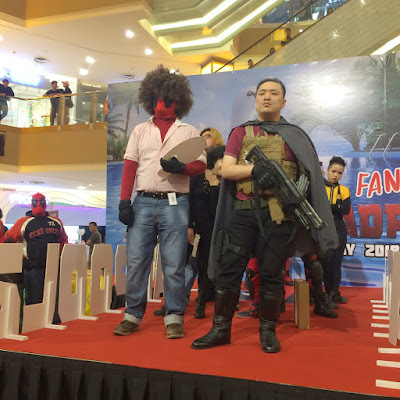 Deadpool trolls movie goers on opening weekend of Avengers Infinity War at GSC Cinemas. 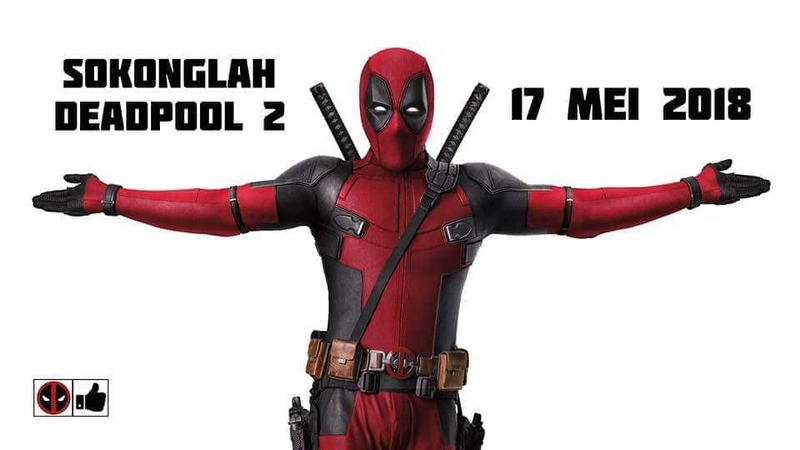 MGAG gets Deadpool for driving tips in Malaysia. Prepare for WTF moments! Search of Deadpool on Rapid KL trains to ask for some goodies. 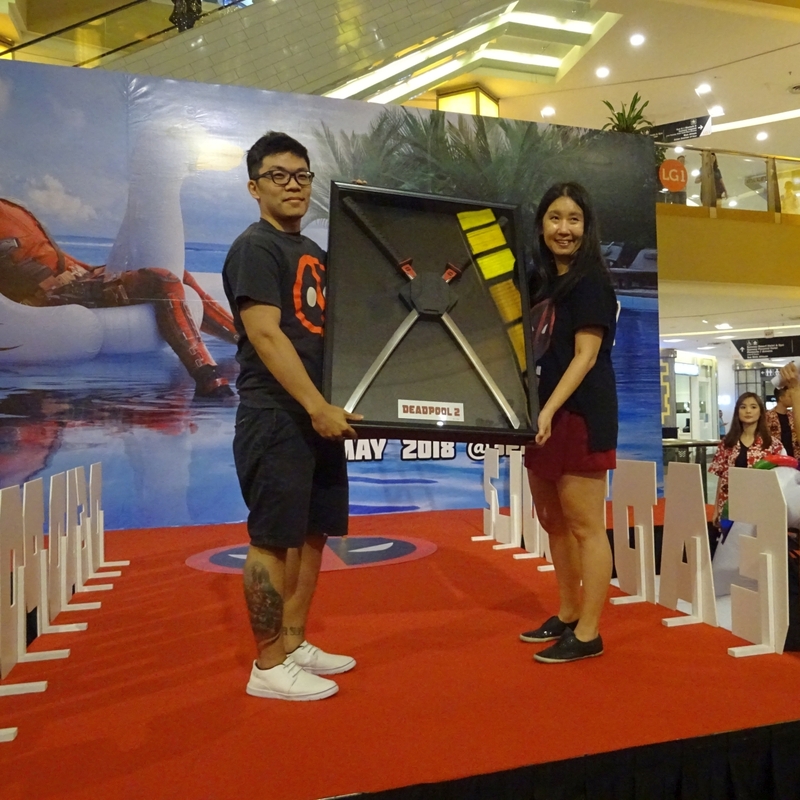 Malaysians got together to celebrate the release of Deadpool 2 at an exclusive invite Fan Pool Party held on Saturday 12 May at the Orange Concourse of Sunway Pyramid shopping centre. 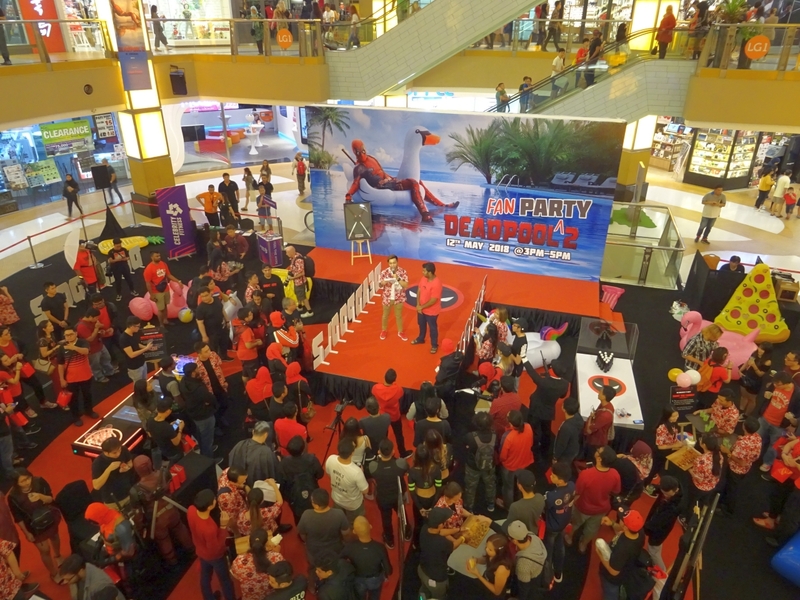 Guests were treated to games, food, and a cosplay catwalk competition, winning numerous Deadpool goodies. These lucky fans were also treated to the earliest screening of Deadpool 2 in Malaysia held right after the party at TGV Cinemas. The Orange Concourse of Sunway Pyramid transformed into a (dry) Pool Party for Deadpool fans last weekend. Cosplayers get together on the Cosplay Catwalk Competition. Cable (right) time slips into the party. For more photos check our photo album at the Outpost Facebook Page, as well as these photo albums by photographer John Gullidge. On the weekend prior to the release of Deadpool 2, we co-hosted a mini gathering at Amenic Film Space for a Fan Panel to discuss the fandom behind Marvel's craziest anti-hero and well as reactions to the new movie from the Movie Premiere. 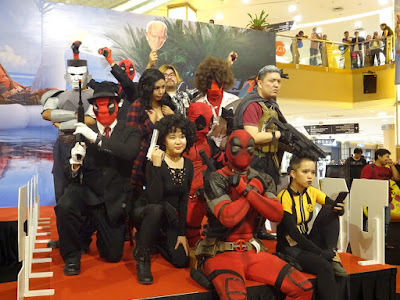 Our Guest Panelist is none other than Malaysia's own Deadpool, Louis Ideotics or @malaysiancosplayer on Instagram. Don't worry there are no spoilers as we abide by#WadeWilsonDemandsYourSisterSorryStupidAutoCorrectSilence. 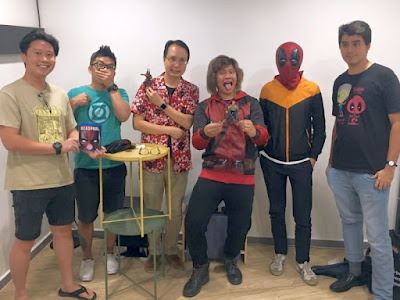 Our Commander Richard hosting Deadpool Fan Panel with Louis Ideotics (3rd from right) at Amenic Film Space. 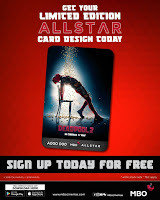 For review of the movie, check out Star2.com's take on Deadpool 2 as well as internationally by The Verge. 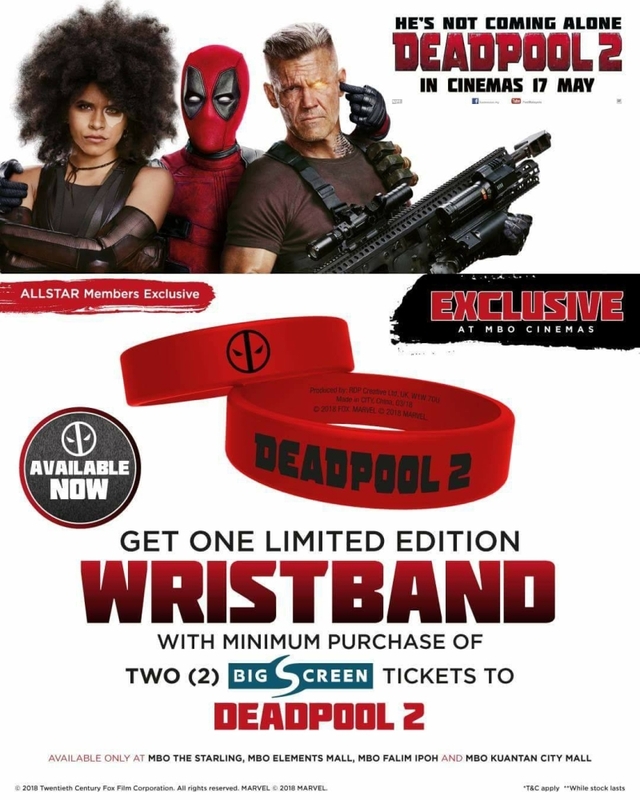 These goodies are available from 15 May onwards. Find out more on availability from the GSC website. Lovers of popcorn can definite from the concession combo with a Deadpool tumbler topped by figurine. Starling Damansara Utama, Kuantan City Mall, and Falim Ipoh. 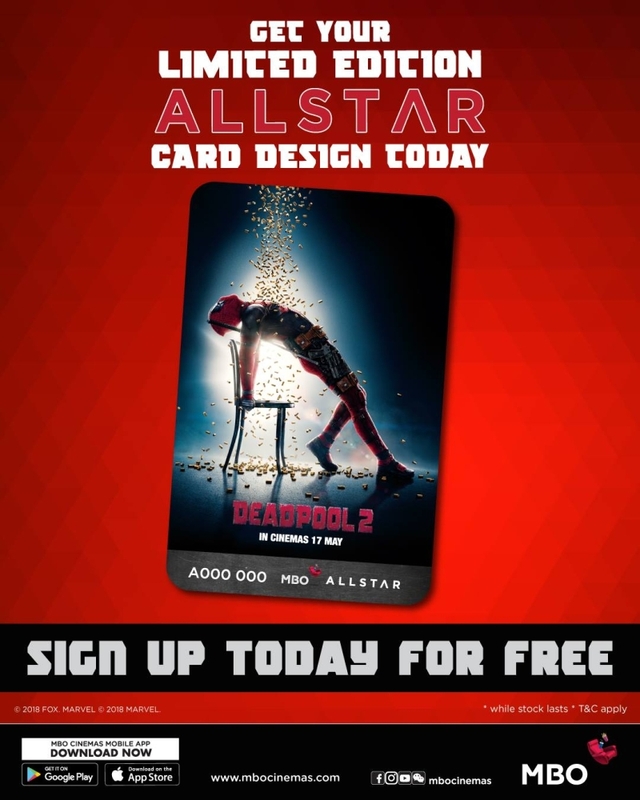 There is also a Deadpool 2 edition Allstar member card. These are available to new members whilst existing members can swap to this new card for a minimal fee. 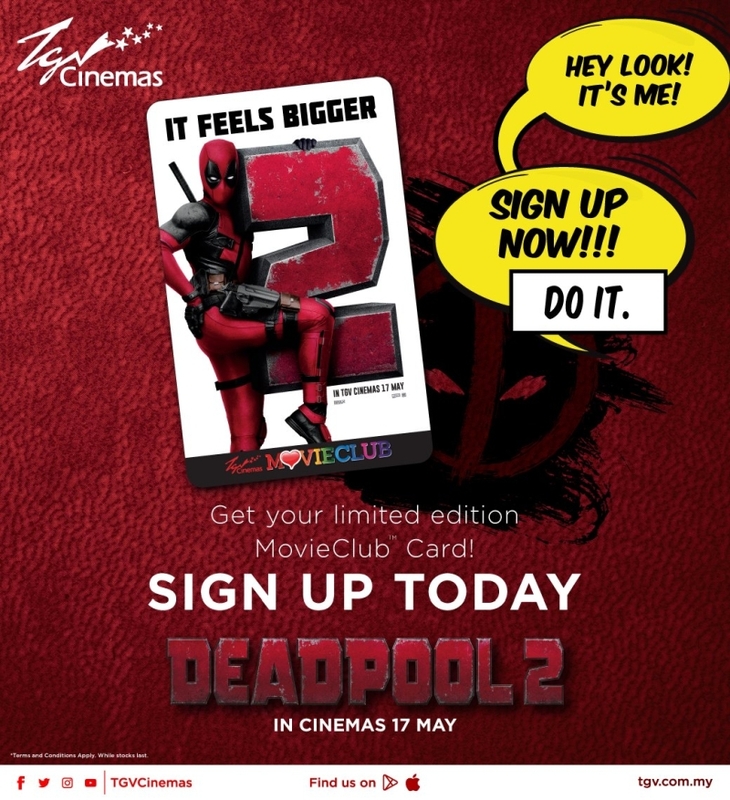 TGV Cinemas is similarly offering a Deadpool 2 member card for their Movieclub with a different design. 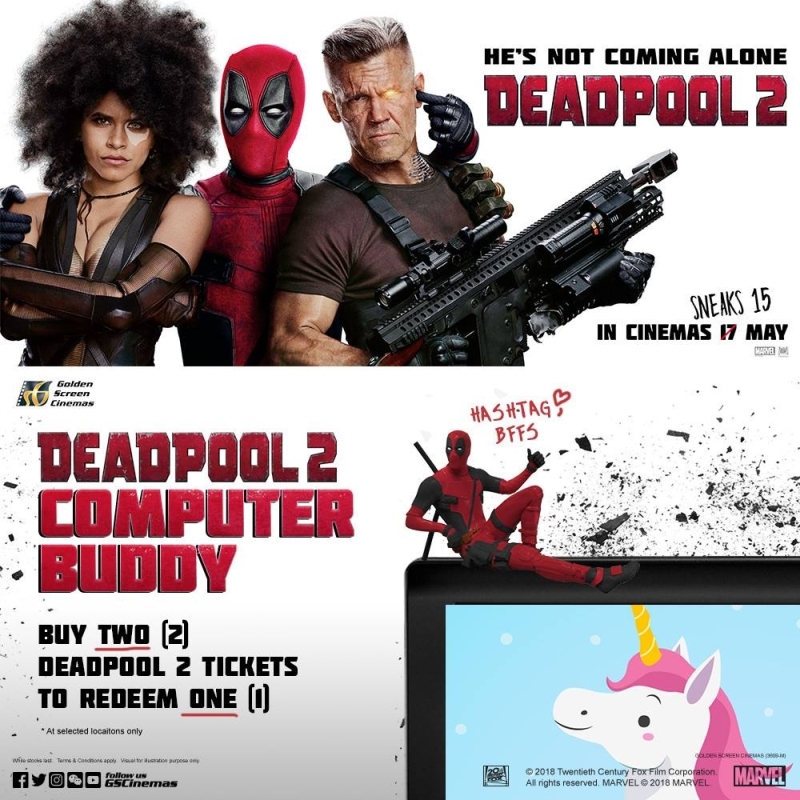 Now thanks to the generosity of 20th Century Fox Malaysia, your Marvelites have the opportunity to WIN official Deadpool 2 movie premiums from this Outpost Giveaway! For a stand to take home these snazzy geek goodies, follow the instructions embedded in the online form below and submit your entries before 31 May 2018, 11.59pm. So Post your mini-reviews to our Facebook post here and remember No Spoilers please. Like most Marvel movies, STAY during the end-credits of Deadpool 2. There are multiple scenes splattered during the credits, many with LOL movies. And a gentle reminder to Shan from Klang that Deadpool 2 is rated 18+ by local movie classifications (or R-rated elsewhere) so no kiddies allowed ya? Right, so what are you waiting for? 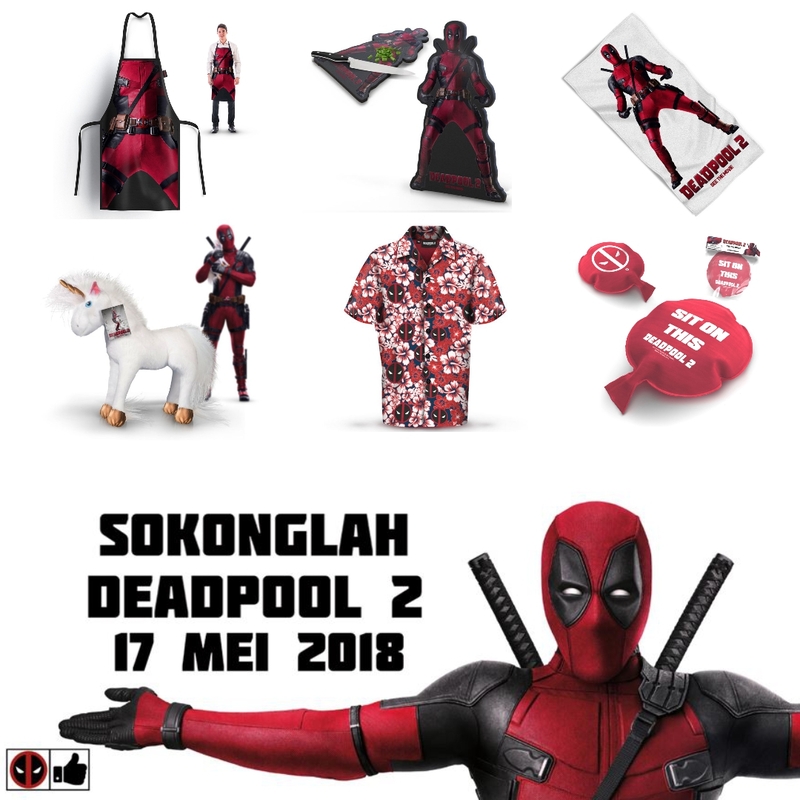 Sokonglah Deadpool 2 in pawagam musim ini! 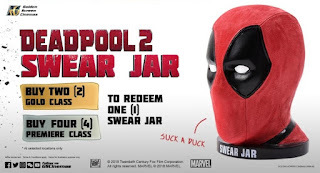 Disclaimer: Deadpool and other trademarks are copyright to Marvel and/or 20th Century Fox, referenced here for fan service announcements without intent to infringe.